Air cargo shipping may be offered by some major commercial and cargo airlines. But sometimes, flight timings and services offered by these airlines may not be amenable to your needs and the needs of your customers. In such cases, your best bet is to turn to a reliable air cargo carrier or air freight forwarders that are experts in supply chain management. Leaving the logistics of shipping up to the expert will free up valuable time to focus on more important business matters. But choosing your air cargo shipping company is an important task in itself. You need to first be satisfied that the company whose services you are looking to hire is indeed going to keep your business in mind and offer the best services for you. 1. Look for experience: It usually goes without saying that a company already experienced in the logistics of international or domestic air freight transport, import export and the required procedures will be able to offer the best services. This is particularly true if you’re importing or exporting across the globe. 2. Cost effectiveness: If you’re transporting perishables, air cargo shipping is your only option. In that case you can rule out land or water freight transportation entirely, especially if the distances are long. But even if you are shipping raw materials or finished products, you need to compare costs, speed and efficiency against water transportation and other air cargo shipping companies. Air freight is not cheap, but it is certainly more efficient and speedy than any other forms of transportation. Also, different companies offer different rates. Shop around for the best rates, but don’t let cost be the only factor in your choice of shipping company. Quality of services, ground support, monitoring and regular tracking options are also important. 3. Customer Support: It is very important to hire a company that offers great customer service. Do they answer all your queries? 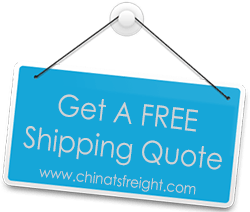 Do they offer regular reports on where your shipment is at each point of the journey? Do they have a robust network of contacts among top airlines that can be expected to reliably deliver your goods? These are some of the questions that you should find positive answers to before you decide which company to ship with. Exemplary air cargo shipping companies will also offer delivery and collection services as part of their effort to ensure the maximum security of their customers’ cargo. Some companies have limits on the volume or weight of goods you can transport. It is important to make sure at the outset that the cargo you are trying to ship will be supported by the company you are considering. Good air freight companies will look to build relationships with customers. Do your research before you choose and it will be easier to find a reliable service that you can depend on time and again for your shipping needs.